In the past couple of decades, it seems we have become obsessed with gadgets. You most likely carry a smartphone with you when on the move, and possibly use a tablet – these are becoming more popular thanks to their added ability – and then there are the many different powered gadgets such as iPods and other music players, all of which are carried by millions of people across the world. The one problem you will be aware of, whatever item you use, is that of the battery running flat – which can happen quite quickly should you be watching videos or listening to music. Many people carry a charger, which usually plugs into the mains and then into the USB or other port on your device. This is great, but what if you are somewhere that does not have access to a mains point? Perhaps you are in a park, on the beach or travelling where there is no access to power – so what do you do? 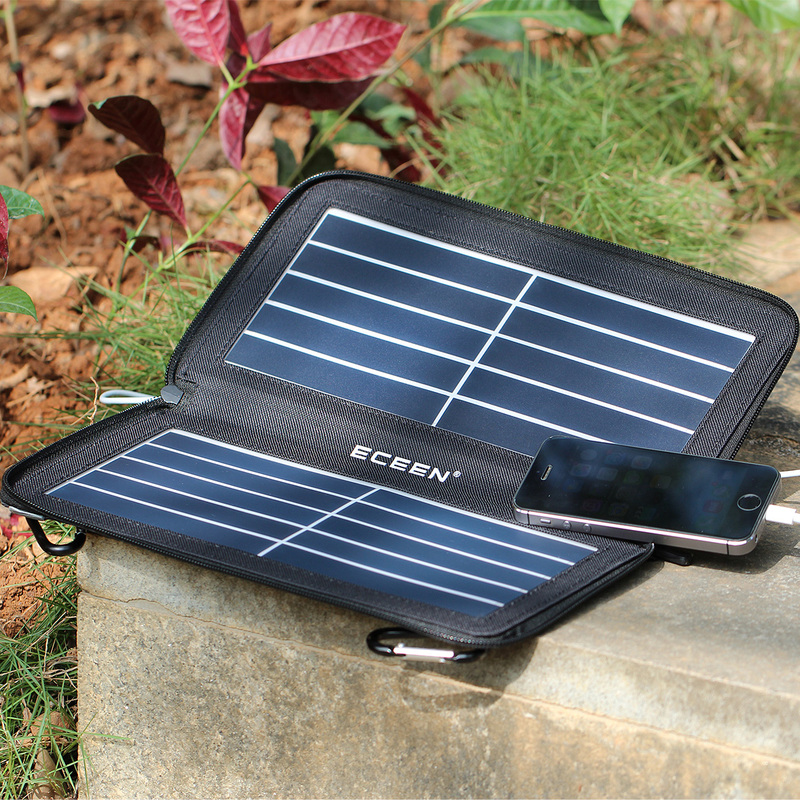 You make sure you have a solar power charger, and that’s why we are going to look at the top 10 such devices on the market right now, and we believe you will be suitably impressed by the convenience of these very clever devices. Solar power chargers, as the name suggests, provide the power for charging your phone batteries by harnessing the sun’s rays. Solar power is a fast-growing source of power for both domestic and business properties, and it is very versatile when it comes to personal use, such as with these portable chargers. You can use them anywhere, they come in a range of different types, shapes, sizes and power outputs and, quite simply, you need one! So, before we get into our review, let’s have a look at how they work, and what they can do for you. 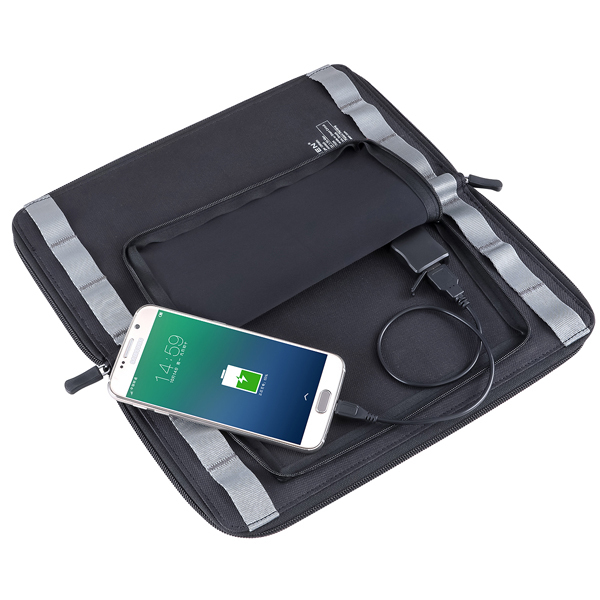 When it comes to relatively new gadgets – as these solar chargers are – we tend to find we are entering a competitive market, and this one is no exception. The basic concept is always going to be the same – a portable set of solar panels that converts the sun’s rays into power to charge your phone or other item – so the challenge is on the design side, and the battle becomes that of who can come up with the very best approach. This one is very neat, and clearly sets the standard at a sensible level. It comes in a vert stylish case that can be zipped closed for portability, and it looks the part in your selection of gadgets. It provides up to 10W of power, and promises as much as 22% efficiency – that may not sound a lot, but is an impressive figure when it comes to solar power in miniature. It is suitable for all devices, comes with everything you need to get going including all cables and instructions, and is a sensible price at a little less than £30. Previous news:A happy & sweet girl with her solar backpacks. 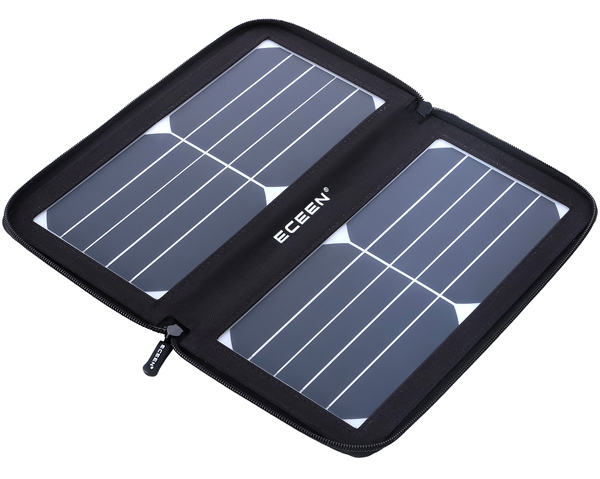 Next news:ECEEN USB and Solar Powered Lantern Review.